SiliconDust's networked TV tuners are excellent, but its DVR service can't keep up. 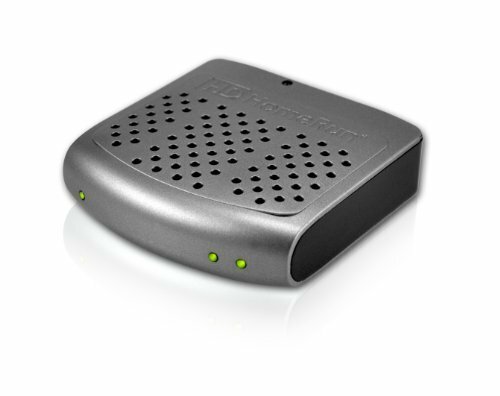 SiliconDust’s HDHomeRun networked tuners have been a boon to cord cutters for more than a decade. Hook one up to an over-the-air antenna, plug it into your router, and you can stream live native-quality broadcast TV to other devices throughout the house. HDHomeRun now offers a way to record those broadcasts directly through its existing apps. All you need is a media server—be it a PC, NAS box, or Nvidia Shield TV—and a $35-per-year subscription to the HDHomeRun DVR service. In theory, it’s the plug-and-play recording solution that SiliconDust has long been missing. Unfortunately, HDHomeRun DVR is still too rough to recommend, with an eyesore of an interface, sparse recording options, limited platform support, and some confounding design choices. While HDHomeRun’s hardware is still a great way to start building an over-the-air DVR, you’re much better off pairing it with third-party software solutions such as Plex, Emby, or Channels DVR. HDHomeRun DVR works with all of SiliconDust’s current tuners. For over-the-air channels, you’ll need either the HDHomeRun Connect or Extend. The Connect comes in dual-tuner ($100) or quad-tuner ($150) configurations, corresponding to the number of channels you can watch or record at once. The Extend is only available with two tuners for $179, but it has a built-in transcoder that reduces the amount of bandwidth and recording space you’ll need. For cable subscribers, the HDHomeRun Prime works with CableCARD to watch and record up to three channels that aren’t copy-protected. Installing the tuner component is easy: Just plug everything in, then scan for channels using the company’s PC software or setup website. 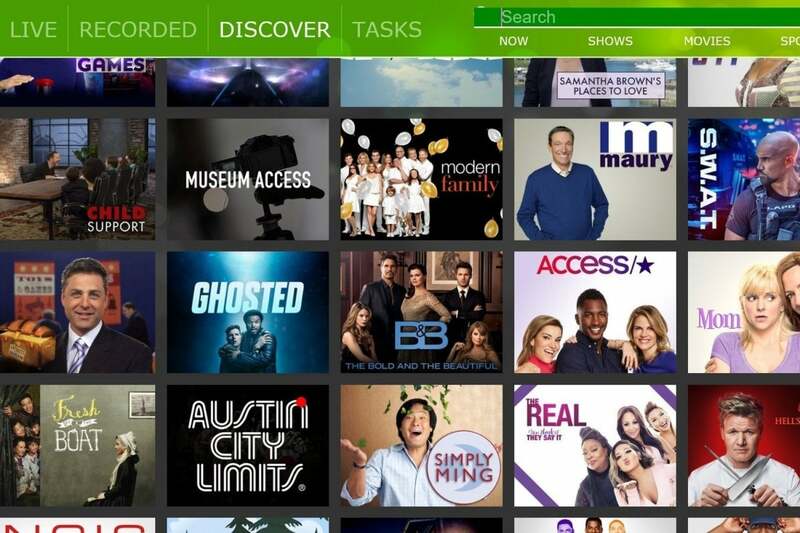 You can watch live TV through HDHomeRun’s free apps for Windows, Android, Android TV, Amazon Fire TV, Xbox One, and iOS. 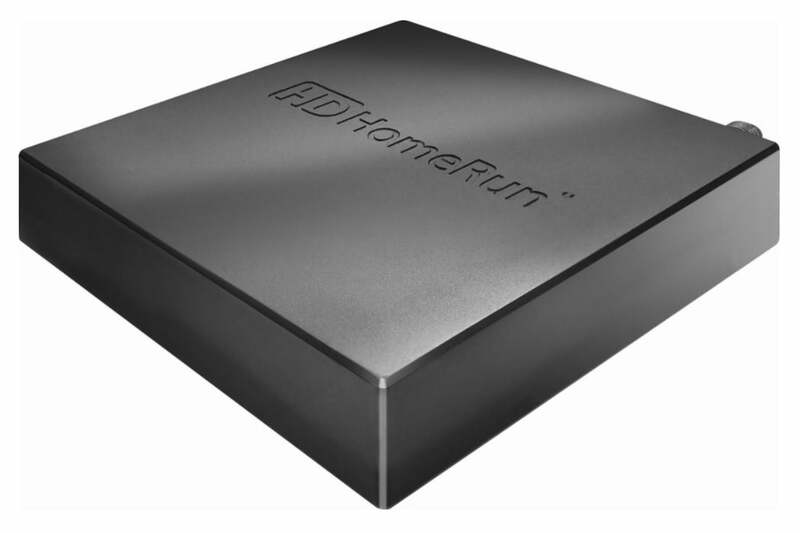 Plug an HDHomeRun tuner (like the Connect, pictured here) into your router via ethernet, hook up an antenna, and you’re ready to watch live TV. Getting the DVR part up and running can be more complicated. 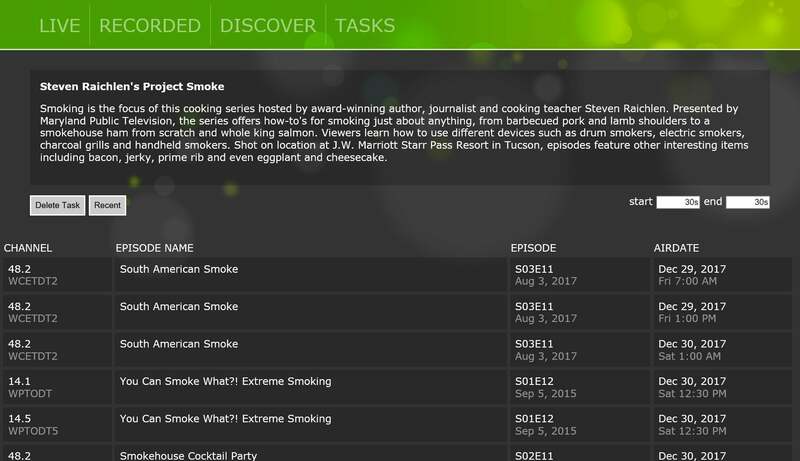 On a PC, the DVR tab lets you connect a subscription account and specify a recording folder. That’s simple enough, but it won’t remind you to disable the computer’s sleep mode if you want to avoid missing scheduled recordings. And while the DVR service works with network-attached storage (NAS) boxes, it doesn’t support recording to hard drives plugged into a router’s USB port, even when they’re mapped as networked drives on the PC. For Nvidia Shield TV users, setting up HDHomeRun DVR is even more convoluted, requiring 13 taps of the game controller’s play/pause button to visit a hidden menu where an “enable recording” option resides. (If you don’t have a game controller, you must instead tap the Shield remote’s volume slider 26 times, a fact that isn’t documented on HDHomeRun’s instruction page.) HDHomeRun also requires 500GB of storage, ruling out USB thumb drives and SD cards. 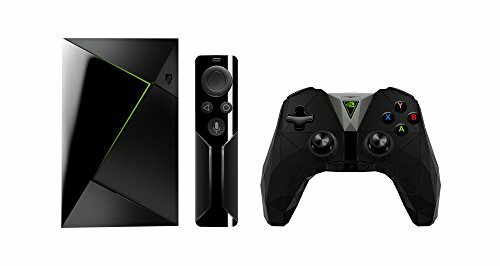 There’s also one other major problem with using the Nvidia Shield TV as the DVR engine: When the streaming box is asleep, other devices can’t access recordings or schedule new ones. The only solution—as noted in HDHomeRun’s forums—is to disable sleep mode in the Shield’s developer settings, which isn’t ideal from a power consumption standpoint. Once everything’s set up, you can use any of HDHomerun’s apps to schedule and manage recordings. But that’s where more problems pile up. Some of the apps’ behavior seems cryptic at first glance. When setting a series recording, for instance, it’s unclear if the “Always” option will save every episode, or just ones that haven’t been recorded yet. (A SiliconDust rep clarified that it’s the latter.) If you select “Recent,” the DVR saves all episodes from the current season or the past 90 days, but good luck deciphering this from the app itself. HDHomeRun’s record menu offers few options and little guidance. Beyond those two options, HDHomeRun doesn’t offer much flexibility. You can’t record a series from a specific channel or record only a certain number of recent episodes. And while HDHomeRun lets you set up buffer times for the beginning and end of series recordings, there’s no way to schedule manual time-based recordings. The more you poke around the interface, the more annoyances you’ll run into. You can’t delete entire series at a time, or have programs automatically delete as storage fills up. You can prioritize the order of recordings, but there’s no way to weed out scheduling conflicts that come up. The smartphone version of HDHomeRun uses the same formatting as larger-screen versions, which means all the buttons are teeny. And when you want to add buffer times to a recording from an Android device, you must manually type in the number along with either an “s” (for seconds) or an “m” (for minutes). Using HDHomeRun DVR on a smartphone becomes a challenge with such small buttons. 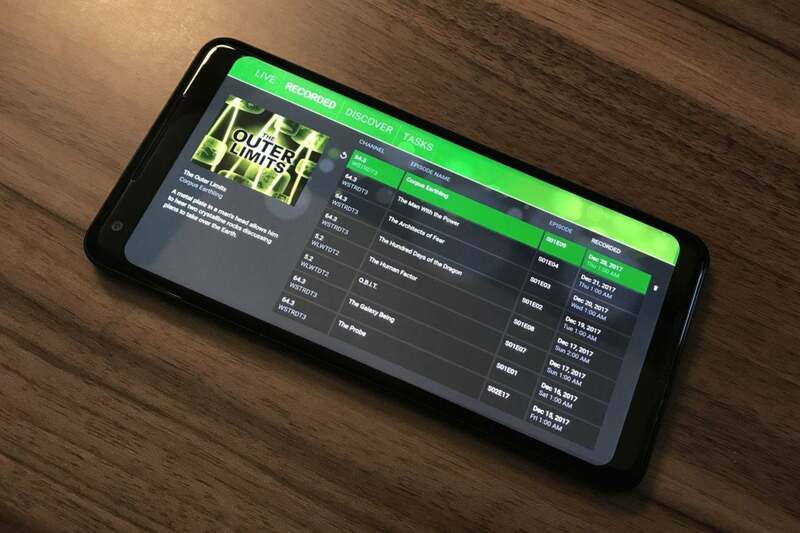 On top of all that, HDHomeRun’s apps are just joyless to use, with a slime green color scheme and none of the animations or transitions that you find in other modern streaming apps. HDHomeRun DVR isn’t all bad. The app’s “slice” menu, which lets you browse the channel guide along the right-hand side of the screen, while unconventional, doesn’t minimize what you’re watching like a traditional grid guide would. There’s also a handy “Discover” tab that helps you find upcoming programs to record. And while the DVR interface isn’t pretty, there’s something to be said for the density of information it puts on the screen. HDHomeRun’s “slice” menu is clever, even if it takes some getting used to. Still, it’s hard to think of any significant reason to use HDHomeRun DVR over third-party alternatives. Plex and Emby both offer more polished interfaces, broader device support, out-of-home streaming, and a slew of other media center features. The former can even use an Nvidia Shield TV as the recording engine. For Apple TV users, Channels DVR is also a slick solution with powerful ad-skipping built-in. And while Tablo’s DVR can’t match the video and audio quality of HDHomeRun, it’s easier to set up. Even HDHomeRun’s low subscription cost of $35 per year is negated by its lack of a lifetime service option, which both Plex and Tablo offer. SiliconDust has been working on HDHomeRun DVR for more than two years now, with extensive testing through a public beta program. It’s a bit discouraging that after all this time, the resulting product is so far behind its competitors. 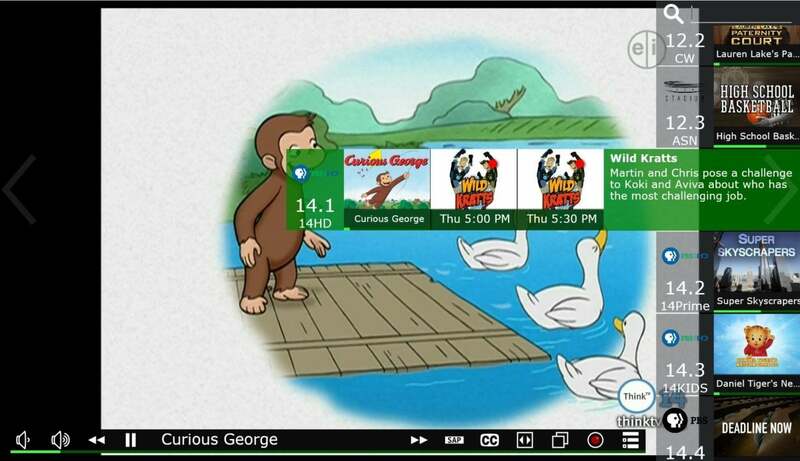 Although HDHomeRun's networked tuners are an invaluable tool, they work much better with third-party DVR software.